Your wedding ceremony represents the fusion of two beautiful souls and their families and heritage. You are about to embark on an amazing adventure as you move toward this major milestone together. Customizing the ceremony can sometimes be stressful as you try to balance the budget and fulfill your wedding dreams, but it’s not impossible. Here are 10 simple ways to personalise your wedding ceremony. Writing your vows personalizes the ceremony by letting you each speak from your heart. Speak with your officiant about your plans, and don’t wait until the last minute to start writing your expression of love . You can include anecdotes about your relationship and offer up a promise to your partner. Remember that your officiant serves as a sounding board and may help clarify phrasings that feels off as they guide you through the process. Traditionally, a father escorts the bride down the aisle, but modern couples switch up the antiquated roles. Even grooms can be accompanied by their parents to their place at the altar. Stepparents and birth parents walk their children down the aisle in a way that feels right to the person getting married. Do what feels comfortable for you. 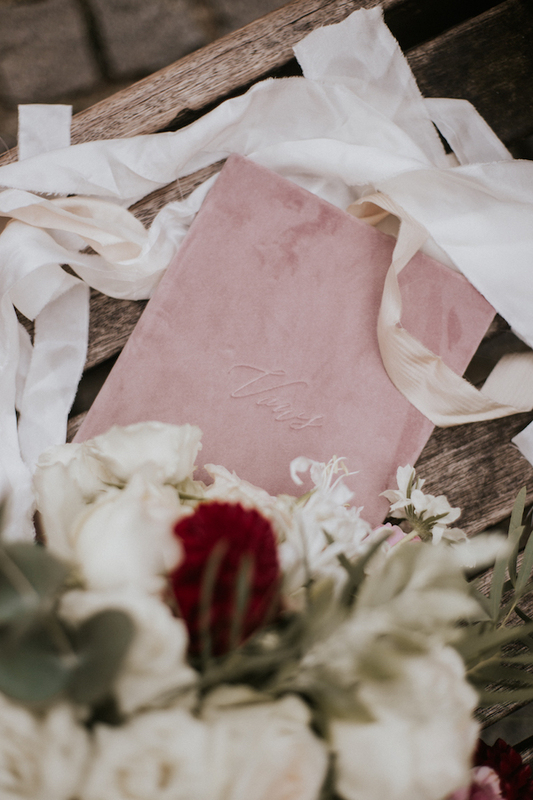 Couples often include a special reading in their ceremony, and officiants can help source passages from religious texts or other relevant sources. Love letters, children’s books and songs all work well as a reading. This is an excellent way to include friends and loved ones on your special day. Larger weddings may necessitate assigned seating, but keeping seating open at the reception allows guests to mingle. You know the people you’re inviting, so if you think they’ll move chairs around, assign seats. However, open seating helps guests settle in and feel comfortable, creating a natural flow. Include family heirlooms on display at your wedding to represent the joining of your lines of heritage and those loved ones who have passed on. For example, you could display your grandmother’s quilt to express her love and talent. Quilts are typically made in three layers that include a layer of softer fabric on the top, a bottom layer of fabric and soft batting between these layers. It’s been known that the double wedding ring style, a quilt that features a double set of interlocking rings, is frequently made or given to newly wedded couples. At the entryway to the ceremony, share photos of you and your partner. This allows your guests to take in your journey to marriage before they sit down to witness this milestone in your lives. Honor relatives who passed on by placing a family photo in the front row or incorporating their birth flower into the decorating or the bridal bouquet. Eliminate the pressure of only choosing flowers that are in season and include a fun bouquet made from paper to represent your loved one. It can also be used as a take-home gift! Place their names in the programs and offer a nod to them with a favorite song as an interlude. These meaningful gestures will remind you of their love and support. Certain ceremonies necessitate musical selections, but if your ceremony offers room for flexibility, select songs that hold meaning for you and your partner. Additional songs work well as interludes between the recessional and processional instrumentals. That means that jazz and pop tunes are open to you, too. 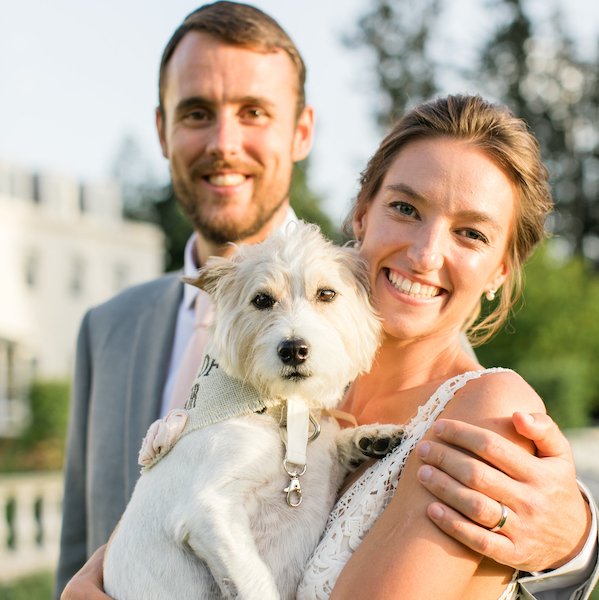 As a member of your family, don’t feel weird about involving your pet in your ceremony. You will need to speak to the venue first to see if they are pet-friendly and what supportive steps you will need to take to please your pet and the venue. 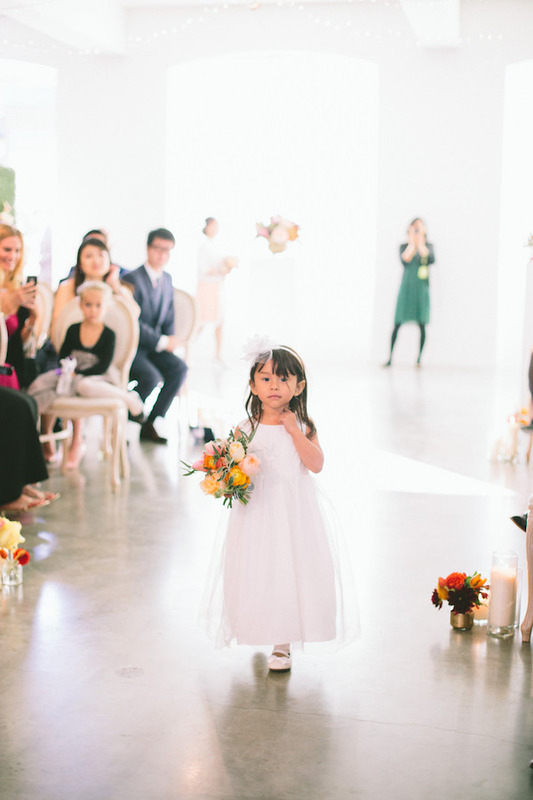 Why not let your pet be the ring bearer or flower girl? They can even be the one to “walk” you down the aisle. Create a ritual unique to you as a couple. You may pull from an older tradition, such as a Celtic handfasting where you and your partner’s hands are bound by a cord to symbolize your eternal bond. In the Hebrides, islands off the coast of Scotland, couples would hand fast for a year before the ceremony that forged their eternal bond. Light a candle, drink out of a wine-filled chalice or jump a broom. Work with your officiant to create a personalized ritual you and your future spouse are both happy with to symbolize your shared lives as a married couple.